April 17th, 2019: Thank you, Legler Valley Road Book Club, for rescheduling me to speak about Dunster’s Calling and my writing process at your next meeting. See you at 7.00pm! Tofflers, 200 5th Avenue, New Glarus, Wisconsin. March 16th, 2019: Get ready! Book cover reveal for ‘More Or Less Annie’ tomorrow! 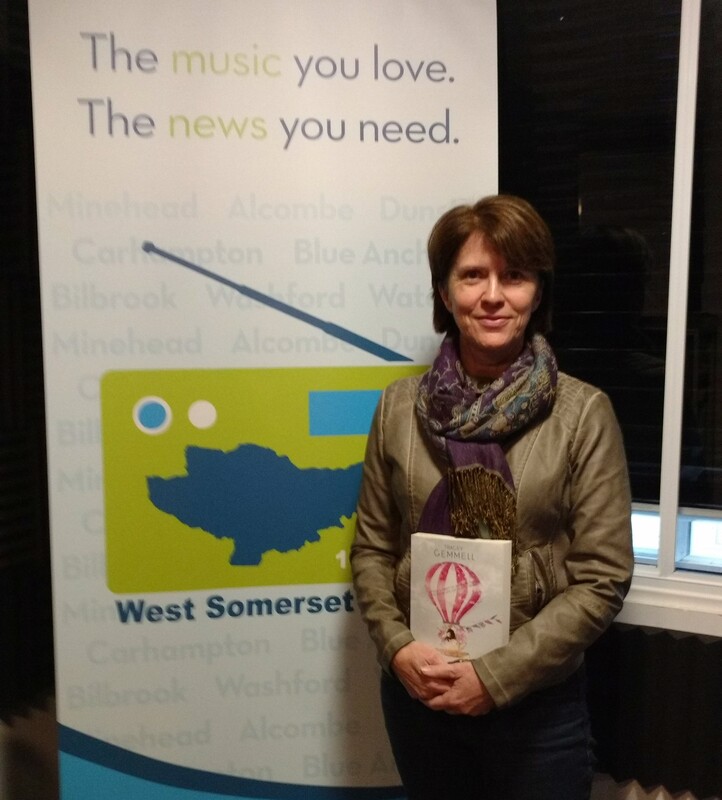 Had a great time with Simon Parkin of BBC Somerset on November 10th. Thanks for making me and Dunster’s Calling so welcome, Simon! Thank you West Somerset Radio and Bryan Leaker for having me on to chat about Dunster’s Calling. Lovely to meet everyone at the studio! INDIE WITH EASE book release: Looking for a resource to calm and soothe as you head into indie author waters? Check out ‘Indie With Ease’, the new release from Pauline Wiles. Full of practical, encouraging, stress-busting tips for surviving and thriving during the writing, publishing and marketing of your books, this is a must read. It even includes some writer’s life lessons from me! The Kindle version is available now on Amazon, with the paperback due for release in October. I’m excited to report my short story, “Scooby-Doo and Hobnobs,” won an honorable mention in the humor category of the Jade Ring Contest. It’s been published in the WWA Anthology, released September, 2018. Sign up for my newsletter where I’ll share the story soon! September, 2017. Save the Date! Some laughs, some tears, some book signings and some refreshments! Looking forward to meeting you there. Thank you Self Media Group for declaring Dunster’s Calling a runner up in the 2016 Best Indie Book Competition! This book has left me with a longing for both cream teas and a pony. It made me nostalgic for a childhood that wasn’t mine! Thank you for a lovely story which made me laugh and cry! I could identify with so much of the narrative, not from the perspective of an émigré but as someone who grew up as a pony mad child in the fifties. Thank you for donating to the welfare of our beautiful “Dunster’s” too! Loved this book. The author insightfully articulates the path that takes us from childhood dreams to adult reality. A keen sense of humor keeps this intimate journey feeling like an adventure we want to join. Even though I’ve lived my life on only one continent, the book resonated deeply. Seriously. Loved. This. Book. I would read this book again just for pure enjoyment! Moreover, this book has piqued my interest, big time, for a visit to Exmoor one day… it’s been added to my bucket list! Just a delightfully written witty and entertaining book. Hard to put down. Love the way it is written. A rare find. (Dunster’s Calling) endorses my view that yes people are important but places can be too!! Hireth! Now I know the word for my own personal longing! Totally enjoyed this book, Dunster’s Calling. Characters are believable. Setting is magical. Highly recommended for girls with dreams! Check out the link below (page 98) to the Autumn 2016 edition of the Exmoor Magazine for a write up on Dunster’s Calling. You’ll also see news about the Exmoor Pony Centre’s Tenth Birthday!